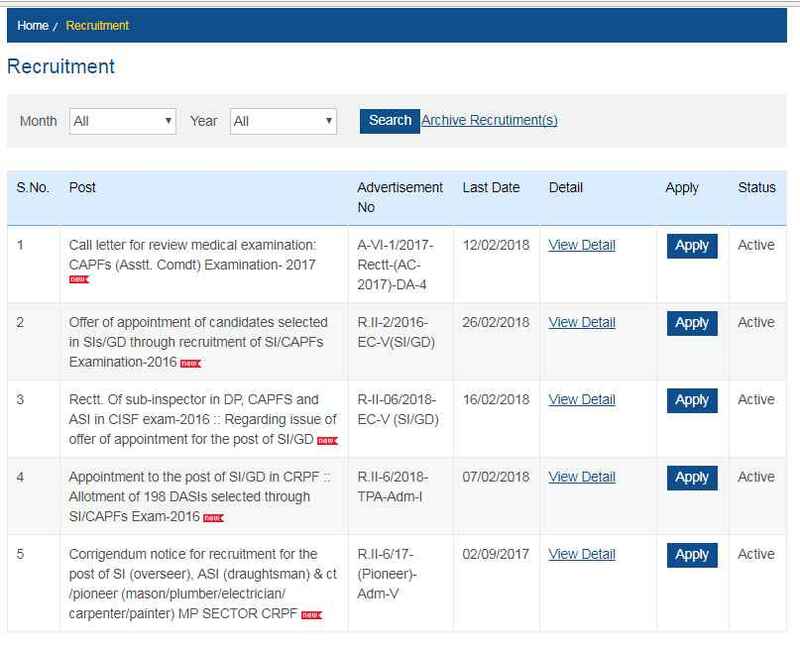 Can you tell me where on the official website of Central Reserve Police Force (CRPF) will I get the merit list for SI - Sub Inspector (Staff Nurse) Post? The Central Reserve Police Force (CRPF) is the premier central police force of the Union of India for internal security. Originally constituted as the Crown Representative Police in 1939, it is one of the oldest Central para military forces (now termed as Central Armed Police Force).